When it comes to adopting new technologies, most people assume that the accounting industry is far behind, stubbornly resisting change. Yet in reality, the opposite is true. Today, the entire accountancy industry is rapidly being transformed, primarily due to productivity optimization brought about by the ever-growing tech revolution. Even at SAMC, we're taking advantage of new technological advances, such as Inbound Marketing. Gone are the days of accountants being burdened with repetitive, time-sucking tasks. With the dawn of innovative technological solutions like intelligent automation, better predictions and efficient data analysis, today's accountants can now spend more time focusing on helping their clients grow their companies through better business strategies. For years, accountants have spent a majority of their time analyzing and reporting on data. Artificial intelligence is quickly changing all that. A 2013 report published by The Association of Chartered Certified Accountants states that AI-powered automation will soon eliminate the majority of repetitive, data-related tasks such as bookkeeping and transaction coding. By freeing accountants from these duties, AI enables them to focus on functions of higher value, such as financial advising and business strategy. In many accountancy firms, this is already happening, with accountants serving more as advisors and CFOs than data analysts. Artificial intelligence is also changing the way HR departments find and hire future employees. When AI is combined with machine learning, HR staff can analyze huge amounts of data and make precise personnel predictions based on those findings. Shorten the hiring process: HR recruiters can now quickly and easily analyze data from previous new hire searches—such as how long it took the firm to find the right candidate for a particular position, how many candidates applied, the number of open jobs, as well as general job market details—so they can set realistic expectations for job openings. Reverse engineering: Many recruiters and hiring managers use AI and machine learning to reverse-engineer a candidate's "fit" as well as predict his or her performance by studying current employees' résumés, production output, performance reviews and any other relevant information. This data can then be entered into an algorithm to help HR figure out exactly what kind of person they are looking for. Identify candidates who might otherwise be overlooked: When a hiring team only uses traditional ways of searching for candidates, it can easily miss viable prospects by only looking at those who are easiest to find. When AI and machine learning are part of the picture, all candidates are considered, enabling recruiters to focus on the human element of the search process and thereby find the best fit. Accounting firms have even started using robotic software as a cheaper, faster and more accurate option for completing repetitive tasks. Why? According to Deloitte, a robot can do in one minute what it would take a human 15 minutes to do. As well as being fast, robots are also accurate—as high as 99 percent, which significantly reduces operating costs. 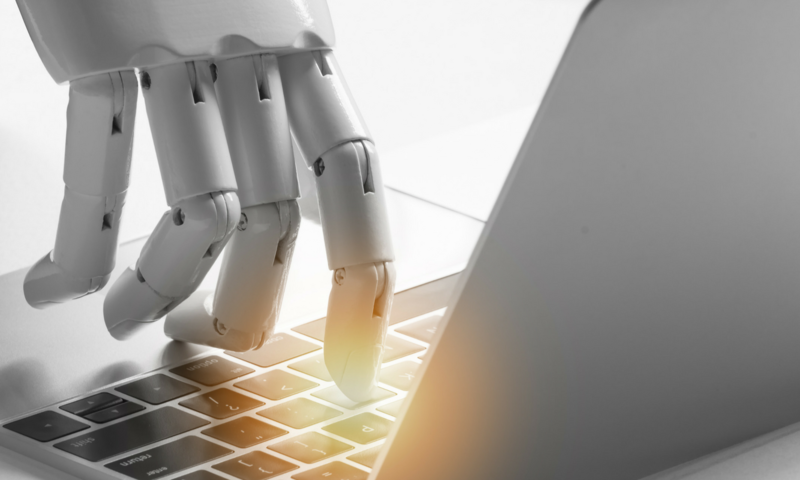 We shouldn't be surprised, then, that a report published by Accenture finds that robotic software will automate or eliminate up to 40 percent of transactional accounting processes by 2020. Case in point: a robot (or bot) can scan a PDF document attached to an email, save the necessary data into a spreadsheet, log into the system, enter the data, and generate a report. It can then email an accountant to communicate that it has completed the task—all in a matter of minutes, or even seconds. This is why firms like Ernst & Young have built up staffs of hundreds of bots to work in its tax practice operations, resulting in several hundred thousand hours of manual processing time being saved. Many interior design companies are using data analytics to help people choose the right office space for their company. Instead of spending weeks searching for the right location, you can now utilize a data-driven strategy that takes all of your priorities into account when looking at various buildings and offices—in just a matter of minutes. By way of virtual tours, you can see and feel what it would be like to work in a certain office space. Does it have enough meeting rooms? A lot of windows? What about the view from your potential office? With today's advanced technology, you can virtually visit hundreds, even thousands, of office spaces without ever stepping outside. All you need is a laptop and internet connection. You can even sign the lease documents digitally once you find a space you like, saving you time and money. The future is already here so the best move is to embrace it. Technological innovations are quickly bringing more and more value and efficiency to the workplace, changing the way business is done, even down to the smallest detail. It's now up to us to learn how to capitalize on the amazing innovations going on all around us so we can do our jobs faster, better and smarter. Every industry in the world is realizing this, even accounting firms. Today’s ultra-fast pace of change poses unprecedented challenges to your business, and to you! We can help. To learn more about how we help accountants and accounting firms adapt to these new innovations, please contact us. We're change experts who specialize in helping companies respond to new economic climates, capitalize on shifting customer demands and create new markets — and, when necessary, change their corporate culture. We look forward to hearing from you.